It’s very easy to be skeptical of the new breed of global celebrities: YouTube stars. Vloggers are a whole new wave of milennials, who have forged fame from their bedrooms, growing up in front of a camera while documenting their daily lives. 20 year-old Troye Sivan is one of them: since 2007 he has been singing and vlogging, and is now Australia’s third most-subscribed channel with close to 4 million subscribers. 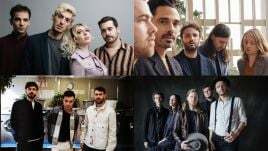 It’s a phenomenon almost the size of the One Direction fandom: these personalities are writing books and novels, going on global tours and making films; they are the entertainment industry’s newest commodity. 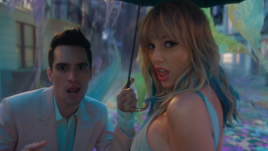 Unlike many others of a similar online following – think Zoella, Tyler Oakley and Tanya Burr – alongside his online rise to fame Sivan has been forging a career in both acting and singing in mainstream media. With a starring role in the Spud film trilogy, a small part in Wolverine and various singing and musical theatre engagements, it feels like Sivan’s two channels are merging now with the release of his début LP Blue Neighbourhood. Skepticism melts away as the tracks – written by Troye himself alongside a score of young and local songwriters – tell a beautiful coming-of-age story tainted by the sudden change of lifestyle that comes with being a near-overnight superstar. He’s suddenly become Australia’s busiest popstar without a single album under his belt – having announced tours on three continents in the next few months as well as keeping up the YouTube career and winning a host of awards while he’s at it. The mellow electro-pop tracks are effective in their simplicity: a throwback to Sivan singing with an iPhone earbud as a backing track on his YouTube channel perhaps, but more just an innate understanding of what his audience will respond well to. 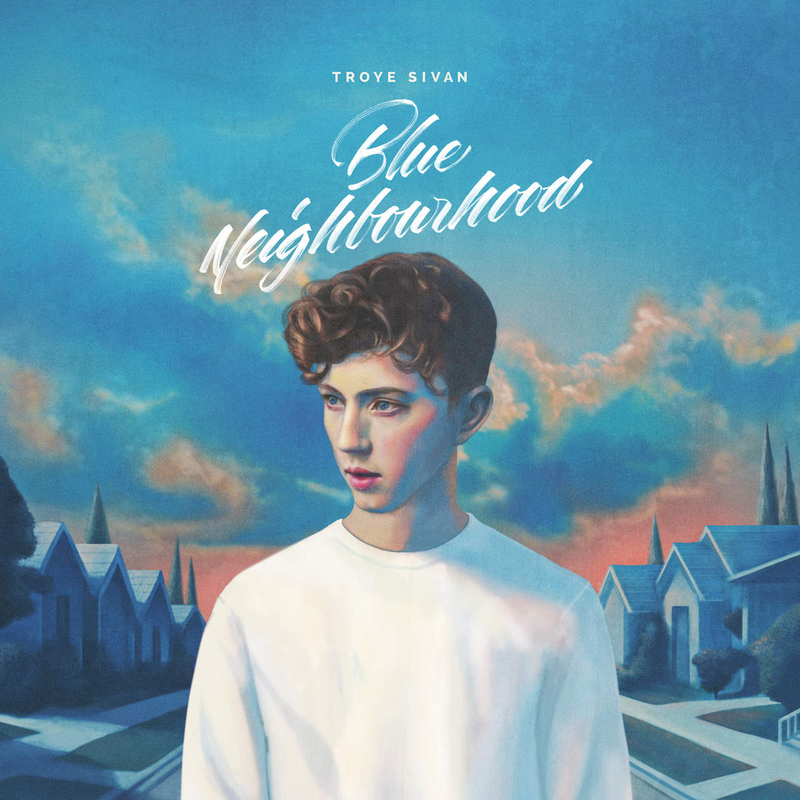 Addictive rhythms, touching (albeit ambiguous) lyrics and a familiar tone that young people will instantly relate to is the winning recipe for Blue Neighbourhood – a reflection on a quiet Australian upbringing and its antithesis of the stardom and Hollywood life Troye seems to now have been thrust into. There’s still an innocence to the whole thing – perhaps it’s his boyish voice or the fluffy auto-tuned harmonies, but the occasional F-bomb dropped into the words catches you off guard. You can almost hear the young superstar fall into step with this new career turn through the record, finding his groove and self-confidence moving from self-uploaded content to major label, highly-managed tracks. As well as enlisting co-writers in young guns Alex Hope, Bram Inscore, Brett McLaughlin & Allie X, Blue Neighbourhood features collaborations with some of the Antipodes’ best up-and-comers. Australian hip-hop wunderkind Tkay Maidza packs a punch on slow-burner DKLA with a spoken-word break, LA-via-Australia artist Betty Who pops up on power ballad HEAVEN and New Zealand indie duo Broods bring EASE – a synthy rhythmic track. The record’s best collaboration, though, is easily with Aussie rapper Allday – who brings a welcome breath of his usual tongue-in-cheek fun and bounciness to for him.. It seems to be where Sivan lets go the most and realises that his music is a hell of a lot of fun – giving himself permission to play around and indulge in it all. It is quite a ‘sterile’ record: brilliantly written by an impressive array of writers and joined by acts perfectly suited to Sivan, but it’s definitely very careful and considered to a T – not that there’s anything wrong with that. Troye and his team know who they’re making music for, and they’ll love it – for good reason. It’s an impressive debut particularly for something so self-created, but it really is just a starting point for Sivan. What is the most exciting part of Blue Neighbourhood is the palpable potential throughout the record: this boy from the Perth suburbs has finally made it, and there really is no telling where he’ll go from here. Once he’s really cut his teeth in the music biz it’s not hard to picture some global hits coming out of this kid – let’s just hope he stops the whirlwind for a second to enjoy it. Blue Neighbourhood is out Friday 4th November, grab a pre-order here.